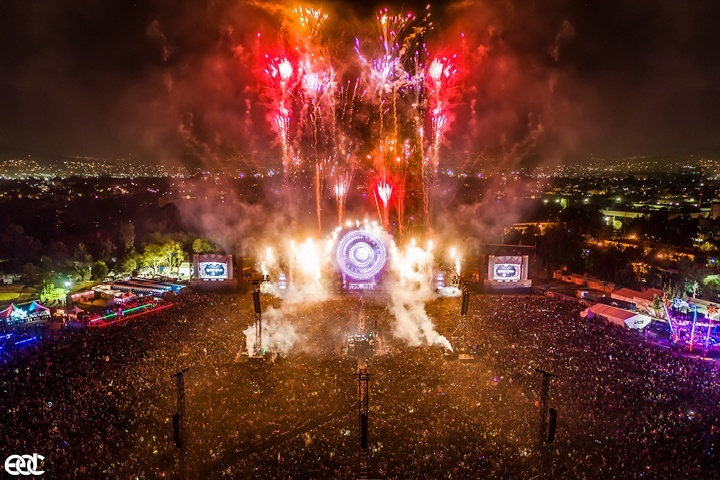 The electrifying experience of EDC Mexico descended upon Autódromo Hermanos Rodríguez in Mexico City for its fourth year in a row, creating a captivating world of music with a carnival atmosphere that attracted over 110,000 fans from all over Mexico and beyond. At the main stage, Kinetic Field, PK Sound deployed its biggest Trinity system to date, covering an area of over 450,000 square feet. 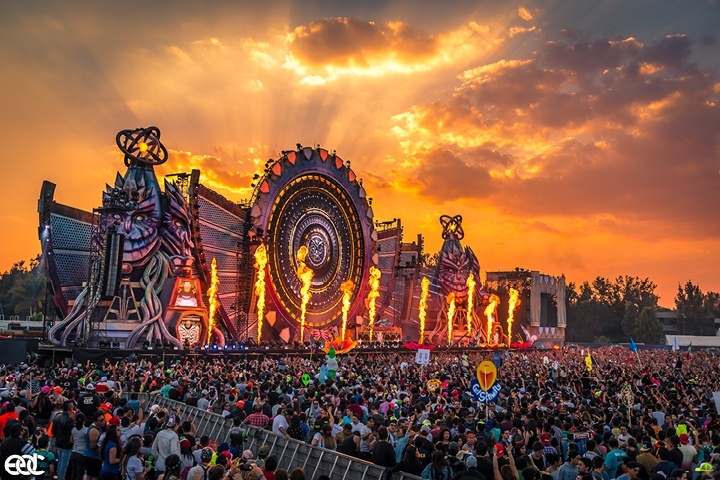 Insomniac Events selected PK Sound for the second year in a row to help power the EDC Mexico experience; this year’s deployment at the mainstage, Kinetic Field, built on the success of last year’s systems at the Neon Garden and Circuit Grounds stages. For the sound system at Kinetic Field, PK Sound deployed a total of 81 Trinity modules, throughout the venue in 9 individual hangs. 4 towers of flown arrays (consisting of 12,14,14 and 12 modules respectively) were set up across the front of the stage. At a distance of 300' there were 2 delay towers with 13 Trinity modules each and 3 modules were ground stacked for coverage of the VIP area. At 520' an additional 3 delay towers with 14 VX10 compact line array modules per tower covered the back of the venue. A total of 142 CX800 high power dual 18" subwoofers were used across the venue in various formations.106 were triple stacked, spaced ¼ wave apart across the entire length of the stage, with 18 more in 2 cardioid clusters at the base of the midfield delays and another 18 used for VIP side fill. The resulting sound field was very consistent with strong coverage all the way to the back of the audience area, which extended 800' from the stage. “The team at Insomniac is very happy with the power and transparency of the Trinity system deployed by PK Sound at EDC Mexico. 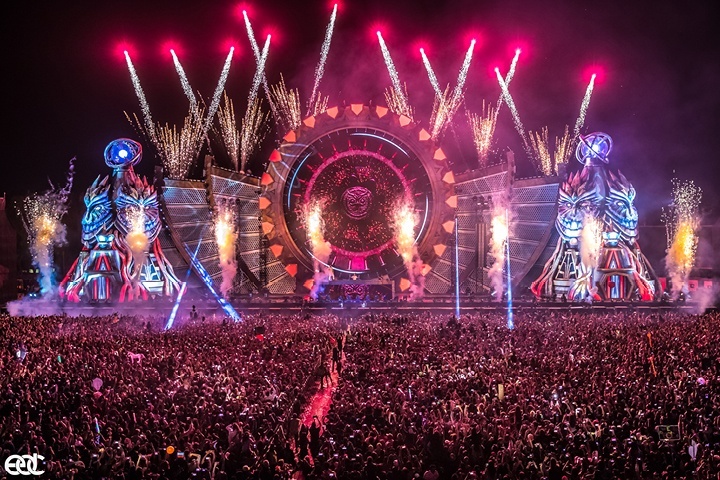 The main stage, Kinetic Field, had an audience area that accommodated 90,000 attendees and had a very large footprint that needed every square foot covered. Whether festival attendees were at the front of the stage, or 800 feet away, they were delighted by powerful, crystal clear sound,” said Forrest Hunt, Executive Producer at Insomniac Events. Internationally acclaimed DJs including Chainsmokers, Hardwell, Major Lazer, and Marshmello played on the Trinity system at Kinetic Field, plus a rich lineup of local talent including Broz Rdz and Mariana BO who added a South American flavor that makes EDC Mexico so unique. Of course, it isn’t enough to throw as many speakers and subwoofers as possible at a venue and call it a day. Not only is it critical to manage the sound quality safely and precisely, but PK Sound also strives to provide the highest quality audio across all their events. 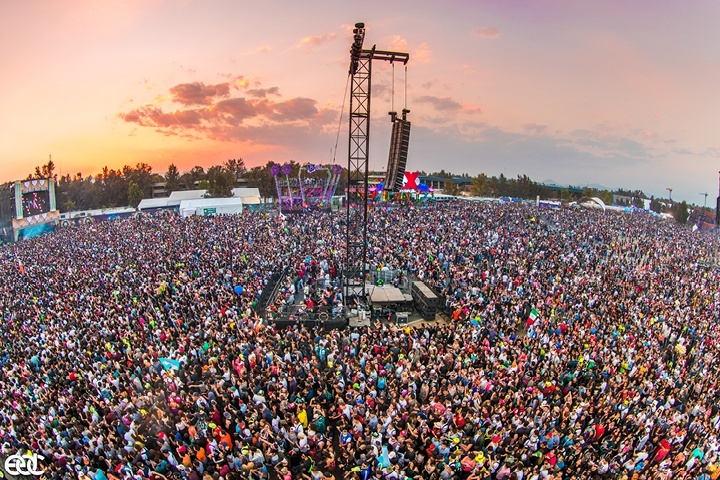 EDC Mexico was an important festival with key technical considerations to take into account. “The heat and dry air has an adverse effect on high frequencies, making it a challenge to throw to the back of the crowd. We’d mitigated this by placing the two rows of delay towers at 300' and 520' from the stage. A lot of power was needed to reach all the fans at our stage,” said Ian Hicks, FOH Engineer for PK Sound. At EDC Mexico the benefits of Trinity’s technology came into play again and again. "We had recommended 6 field delay towers however due to venue constraints we were asked to go to 5 towers. For a standard PA this could have been difficult to accommodate due to coverage issues, but because Trinity is capable of adjustable 50 - 120° horizontal coverage we were able to shape the sound field to compensate," said Jeremy Bridge, PK Sound President & CEO. An additional factor that came up during sound check was a bit of overlap that initially occurred, resulting in time alignment and phasing issues at certain spots due to needing so many towers for overall coverage. Stage limitations meant that the four main Trinity hangs couldn’t be extended, so using Trinity's robotic features, the dispersion angles were tightened up to eliminate the overlap, cleaning up the sound while maintaining the high-quality audio that is so crucial to providing an amazing experience to so many fans. "Onstage the inside 2 PA towers were moved upstage 10' to accommodate the water features. We simply adjusted the angles on the boxes remotely from a laptop using Kontrol software, after they were flown. Doing it this way compensated easily for their new position," adds Jeremy. Insomniac Events stands at the forefront as an extraordinary event production company that always brings top-tier production and sound—and this weekend was no different. Memories, friends, and music were all made under the electric sky at EDC Mexico and Mexico City made this edition of EDC extra special with its warm, passionate people and vibrant local culture. This year was certainly one for the books. The team at PK Sound is elated to have been a part of it all in such a big way. "It’s definitely a long drive from San Francisco, and some of the gear even came from Canada — but it in the end it is well worth it to see the smiles on everyone's faces," says Jeremy. For Insomniac fans who missed this year’s EDC Mexico, never fear - PK Sound’s Trinity system will be showcased this summer on multiple stages at EDC Las Vegas. To learn more about Trinity and its Kontrol software click here.